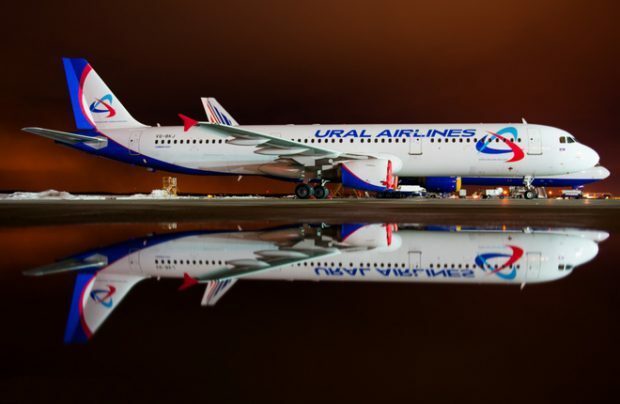 Ural Airlines, Russia’s fifth largest carrier, has agreed a game-changing deal for the lease of 14 new Boeing 737MAX-8 aircraft. The airline currently operates an all-Airbus fleet and has never purchased or leased a new aircraft before. The US$739 million deal – some 240 per cent of the airline’s book asset value – is a 12-year agreement, including preferred extension options, with SB Leasing Ireland, the Dublin-based subsidiary of Russia’s biggest state-owned finance house Sberbank. Deliveries of the aircraft are scheduled between October 2019 and May 2022. The contract also marks Boeing’s second notable agreement with a Russian airline this year involving its newest narrow-bodies, after UTair’s May order for 30 B737MAXs, with deliveries also set to begin in 2019. Previously, S7 Airlines became Boeing’s first Russian customer for the re-engined narrow-body. Ural Airlines currently operates a fleet of 45 Airbus A320-family aircraft (seven А319s, 24 А320s and 14 А321s), a position for which it has been heralded by Airbus as Russia’s leading operator of the type for two consecutive years, with an average daily utilisation rate of 12.71 hours per unit in 2017. The airline had been considering both the Airbus A320neo (including the A321LR version) and the Boeing 737NG/737MAX for its fleet expansion plans. The airline has also declared that it is considering launching a Boeing 737 maintenance repair and overhaul (MRO) facililty at its in-house engineering centre.